Professional football player who is known for his work as a right back on the English club the Bolton Wanderers. 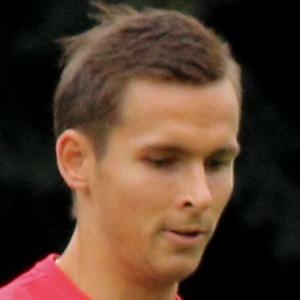 He is also known for his work as a defender on Poland's national team. His youth career began with the Malapanew Ozimek academy. He then played for Gwarek Zabrze before making his senior debut with the club in 2009. After playing with the Under 21 team, he joined the Poland national team in 2013. His senior debut for the Poland national team occurred on November 15, 2013 in a friendly match against Slovakia. He was born and raised in Ozimek, Poland and shared a photo with his daughter to Instagram in April of 2018. He played alongside Wojciech Szczesny and Kamil Glik as part of Poland's national team.